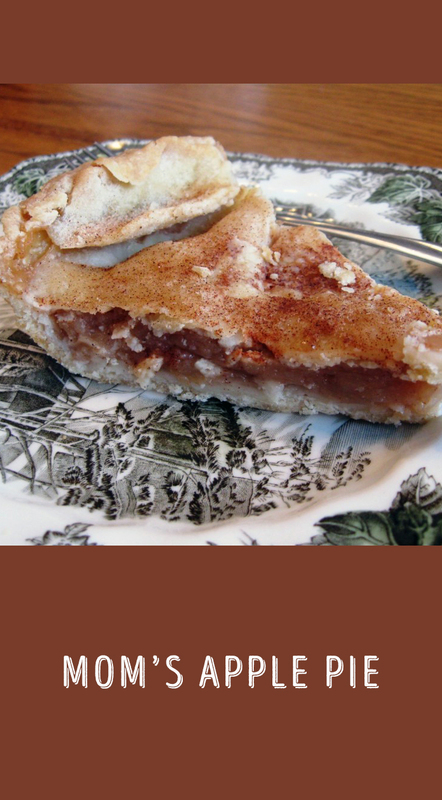 There’s a recipe for pie crust in Simply in Season; however, I decided not to make it as sometimes nothing compares to the one your mother makes. She is famous for her tart cherry pies (will make you never want to eat canned sweet filling again). I haven’t been able to get that recipe out of her yet, but here is her apple pie, which is almost as good. 2. Cut butter into flour and salt, add ice water. Roll out into two crusts. Put one on the bottom of the pie plate, add filling, and top with another crust. 3. Bake in a preheated oven at 450F for 15 minutes; reduce heat to 350F and bake 40-45 minutes. The Verdict: This is one of my all-time favorite recipes, and it’s always as good as I remember. Here are some more “Mom’s Favorite Recipes” from Sunday Supper! I love how easy this crust looks! This looks delicious! I am standing by for the cherry pie recipe. Are those Johnson & Bros. Dishes??? Is it the Countryside Pattern? FYI, those are my favorite dishes…and Apply Pie is my favorite pie! :o) I’m the only one of my parent’s four daughters that is willing to make a pie crust from scratch. My husband even scolds me when I buy one just to save on the mess we (kids and I) inevitably create when we make a pie! This pie looks just as good as I remember my grandma’s being, too! How lucky you were to grow up with homemade pies! This apple version looks marvelous—and is one of my favorite desserts!!! you are right, I’ve been lucky. Not only my mom, but when I was growing up there were homemade pies at every church and school gathering. You mean your mom is holding out on you still, Wendy?! That is too funny. I’m glad you got the apple pie recipe then. It looks wonderful! Yes, I really m ust try again. Maybe if I tell her my blog readers are demanding it! I know what you mean, sometimes there’s nothing to compare to what mom made. Sour cherry pie is my all time favourite and I wouldn’t let her not share the recipe. 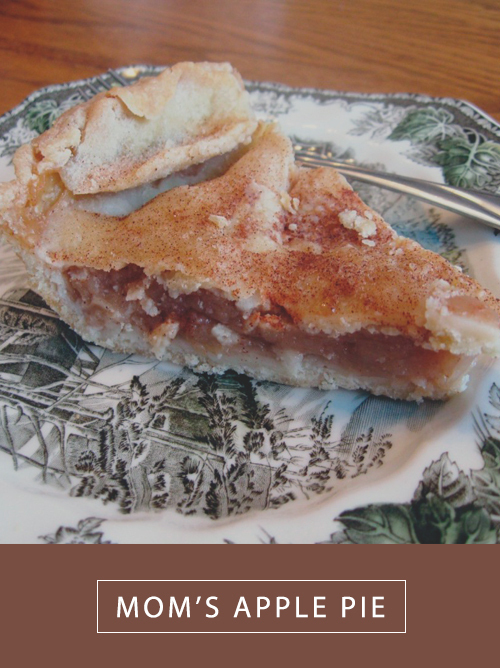 What a lovely classic apple pie! apple picking is so fun! It’s hard to pick from the tart cherry and apple. We are tart cherry fans as well…either one would be amazing! It’s nice to have the variety, isn’t it? yes, I love all the pies! Hmm, the only thing in the world that maybe even better than apple pie is sour cherry pie. This looks tasty. 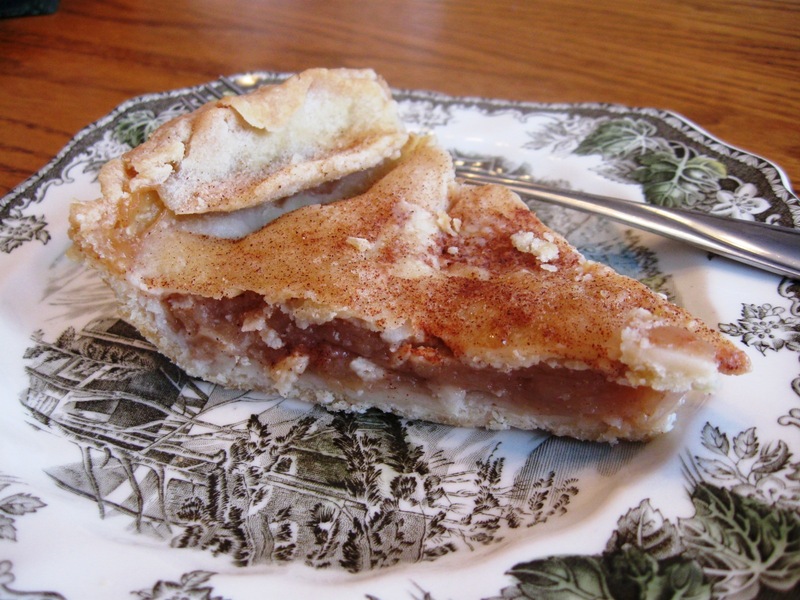 Your apple pie looks delicious – I love that cinnamon-dusted top crust. Nothing says Mom more than homemade apple pie.